After finishing second place in the reputed Humo’s Rock Rally, two excellent studio albums and many gigs in Belgium, Holland and Germany, the band called it a day in the mid nineties. 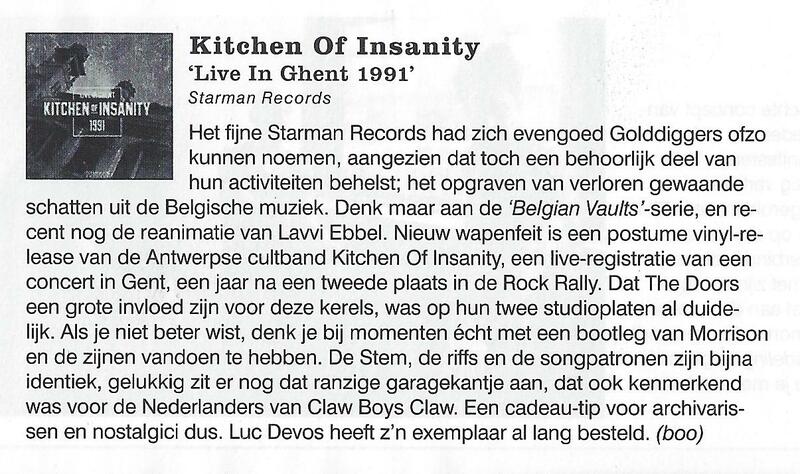 The live recordings on this albums are previously unreleased and were made bij the Belgian national radio in February, 1991 and discovered in the dusty archives by Starman Records. The album offers a nice anthology of the band, including two covers never recorded in the studio. 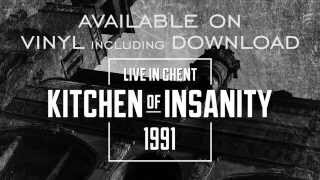 “Live in Ghent” is a great way to (re)discover Kitchen of Insanity, a band that deserves the attention of music lovers all over the world.